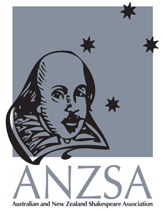 Abstracts of c.200 words should be submitted for consideration to conference@anzsa.org, addressed to Bob White, Chris Wortham, Danijela Kambaskovic-Sawers, Mark Houlahan and Katrina O’Loughlin. Congratulations are in order for ANZSA members and affiliates, for success in the current ARC Discovery Grant round! The ARC has opened its ERA 2012 website for scholars to register on and submit comments about the journal rankings. Individuals must log into the ARC’s specified website and submit feedback in the stipulated format on the ARC’s webform. A fact sheet is provided at this link.